Wetlands are one of the most important environmental assets in Prespa, home to many plant and animal species, providing significant economic, social and cultural benefits to the people of Prespa and the society at large. 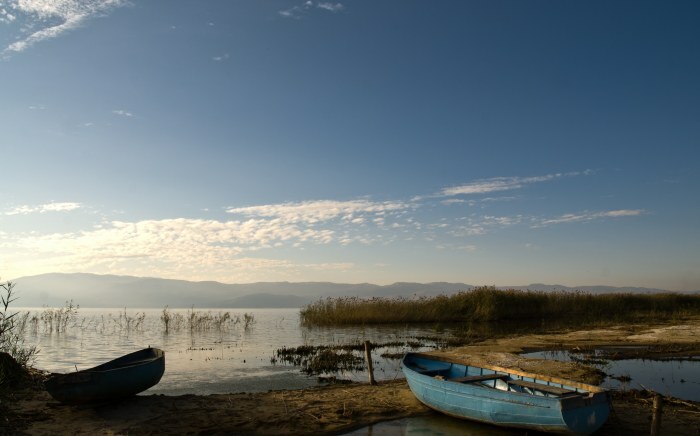 Wetland habitats across Prespa are impacted by various human activities, such as water extraction, modification of beaches and streams, fishing, farming, sand excavation, agriculture and forestry. 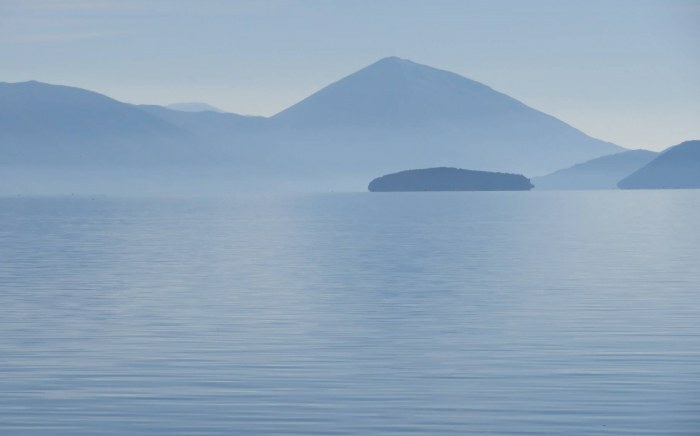 Addressing these threats requires a better understanding of the habitat types within Prespa’s wetland ecosystems, the biodiversity within them, as well as their conservation status. Protected area managers use this information to identify the most important habitats and sites, and prioritize actions to address issues and threats. Current knowledge on wetlands in Prespa is limited. 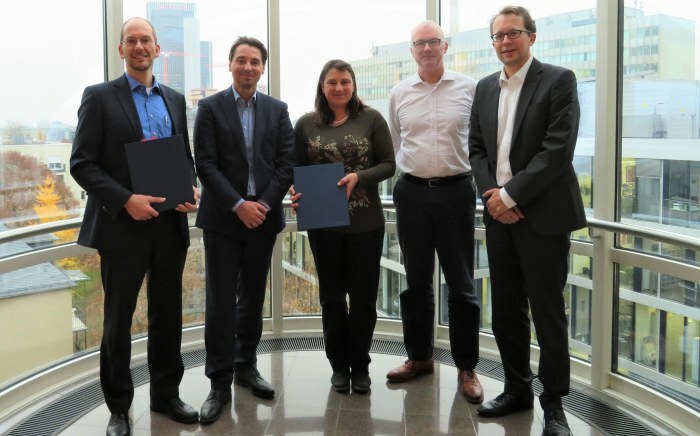 To address this, the PrespaNet partners have made wetland habitat mapping and restoration one of their top priorities for transboundary action. 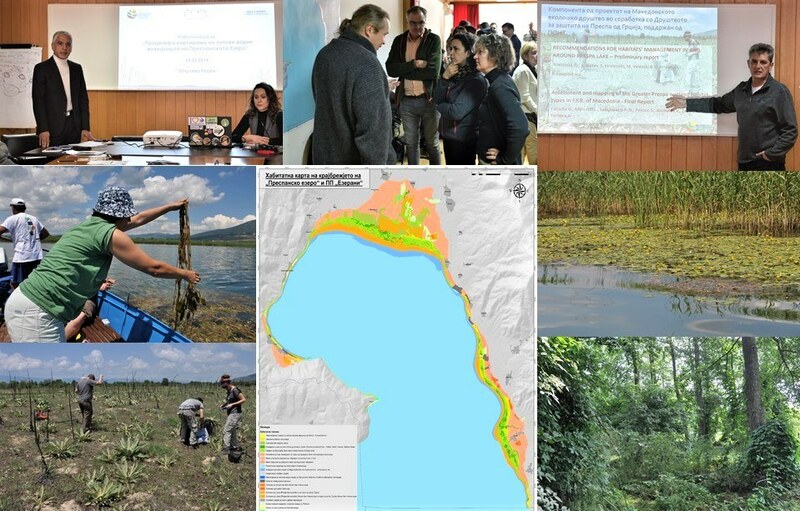 With support from PONT, in 2018 the Macedonian Ecological Society (MES) and the Greek Society for the Protection of Prespa (SPP), conducted a detailed study to map the wetland habitats on the Macedonian side, in close cooperation with the Municipality of Resen that manages the Ezerani Nature Park and Lake Prespa Monument of Nature. By using the Braun-Blanquet method for analysis of vegetation – the assemblage of plant species and the ground cover they provide – in combination with the classification used by the Habitat Directive and the European nature information system (EUNIS), the experts have identified 21 habitat types that are related to Lake Prespa or are influenced by it. These include six types protected by the Habitats Directive, two of which are priority habitats. An additional six habitat types are significant for biodiversity conservation in Prespa or the functioning of its ecosystems. The conservation status of all habitat types identified in the study was found to be generally ‘good’, though ‘moderate’ in some places, including parts of the two priority habitats. The most important pressures and threats to almost all the habitat types are related to the expansion of agricultural areas, while dumping of rubbish, tourism development and vegetation succession were also a threat to most of them. The results of the wetland mapping exercise were presented at a workshop organized by MES and Municipality of Resen to the key stakeholders at the end of January 2019. By combining the information on the distribution of the habitats with information on their conservation status, a preliminary set of priority sites for conservation has been identified by the experts. The final decision on the sites to be prioritised for conservation and restoration actions will be made following the completion of the ongoing consultation with local stakeholders, including land owners and resource users. In order to get a full picture of wetland habitats in Prespa, the PrespaNet partners will replicate the mapping exercise in 2019 on the Albanian part of the region, while designing the first restoration measures on the Macedonian part. These efforts will also be co-financed by PONT over the following two years through the new grants to MES and the Protection and Protection and Preservation of Natural Environment in Albania (PPNEA), which were signed at the end of January 2019, and through the ongoing five-year grant to SPP. These grants will also enable the PrespaNet partners to strengthen their capacity to contribute to biodiversity conservation in Prespa, through concerted environmental education activities and conservation of large carnivores and their prey.